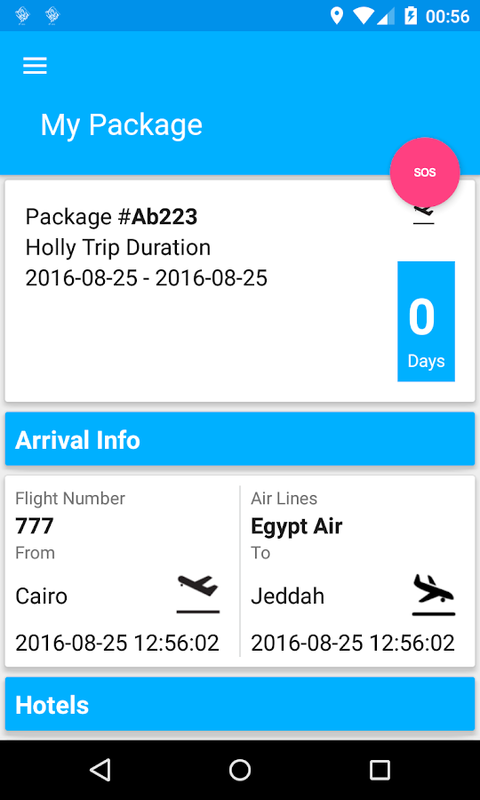 “Now it’s easier than ever to review and share your Umrah Hollytrip details—at home and on the go. “G.Y.H Mutamer APP saves allyour Umrah Package bookings in one place so you can easily keeptrack of your travel & destination plans, including flights,hotels, Transportation, Mazarat & Shopping tours.G.Y.H UmratiApp main Features:• Easy Trip itinerary• View your Umrah Packagedetails• Includes maps and directions• Current location Weatherforecast , Prayers time & Duaa• Illustrate Mecca & Madinafamous Islamic Places • Feel SAFE by Raising S.O.S Button• Abilityto report complain• Rating Umrah Package services• Availability ofimportant data (Passport number , MOFA, MOI number, BloodType,…etc)• Instant Notifications• Multiple languagesIf you arefaced with a problem or have any doubt, please contact us [email protected] . We answer every message without exception,in order to help our users and meet their expectations. Save time, focus on serving Mutamers, and improve your KPIs withG.Y.H Mandoob App. This is the tool that will help you boost yourachievements and productivity. Through an intuitive interface,G.Y.H Mandoob makes your records of serving Mutamers S.O.S andOperations Tasks become insights for your managers. While you areworking at the field, G.Y.H Mandoob works offline too. Why useG.Y.H Mandoob ? 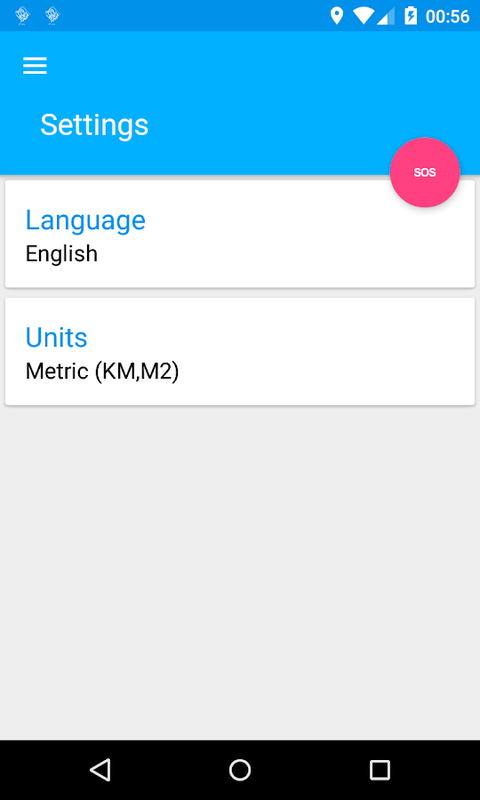 • Receiving and Updating Operations Tasks instantly(Arrival , Departure, Internal)• Receiving and Serving MutamersS.O.S which will increase Service Satisfaction • NavigationServices• NearBy POIs• Daily ,Weekly & Monthly KPIs Statistics•Instant Notifications• Be aware of some useful information whichmight helping you taking decisions • Multiple LanguagesIf you arefaced with a problem or have any doubt, please contact us [email protected] . We answer every message without exception,in order to help our users and meet their expectations. Increase your efficiency by spending less time on hours of servicepaperwork with G.Y.H Driver App. Keep in touch with G.Y.H Portal byreceiving electronic assignment Tasks and let your managers seeyour KPI instantly.G.Y.H Driver App main features:• Instantnotifications• Navigation• Tasks Assignment• NearBy POIs• Daily,Weekly & Monthly KPIs Statistics• Multiple languagesIf you arefaced with a problem or have any doubt, please contact us [email protected] . We answer every message without exception,in order to help our users and meet their expectations. Need to increase sales revenue? Are you looking to have freelanceUmrah brokers? Need to control the privileges of Umrah Brokers? Theeasiest solution is G.Y.H Broker App.By using G.Y.H Broker App youwill have these advantages: • Up selling• Reduce Costs• Clear andSimple Umrah Packages Overview• All your data in a structuredsystem• Minimize your workload• Availability 24/7 to receivereservations• Avoid DeceptionIf you are faced with a problem orhave any doubt, please contact us by [email protected] . Weanswer every message without exception, in order to help our usersand meet their expectations. “Operations supervisor is the backbone of Umrah Company”.How do youknow your Operations alignment and team performance are working atoptimal levels to maximize work productivity resulting in the bestpossible results?By using G.Y.H Supervisor you will be able to:•Greatest benefits of Team productivity• Create an open andcommunicative environment• Connect teams virtually within theOperations• Motivate your employees using technology• MonitorOperations productivity and employee progress on goals• AnalyzeperformanceG.Y.H Supervisor can bridge the gaps in communicationand convey to each member of the team that they are valued. G.Y.HSupervisor will allow you to create a workforce that is engaged,productive and loyal. Feeling valued is the key to team memberloyalty which leads to greater work productivity.G.Y.H Supervisormain Features:• Monitoring Mutamers S.O.S Overdue with ability toforward to another Mandoob • Ability to view Mutamers detailsanywhere anytime• Navigation Services• Manage Arrival , Departureand Internal Operations easily and instantly• NearBy POIs ,Mandoobs and Drivers• Daily ,Weekly & Monthly KPIs Statisticsfor:o Teamo Mandoobso Driverso Specific member• InstantNotifications• Be aware of some useful information which mighthelping you taking decisions • Multiple LanguagesIf you are facedwith a problem or have any doubt, please contact us [email protected] . We answer every message without exception,in order to help our users and meet their expectations. An interactive application that helps you during your journey toperform Haj or Umrah, or during your visit to Madinah. The Ministryof Haj and Umrah provides Manasikana app for pilgrims on smartdevices with the following special capabilities: • It uses highlyaccurate satellite based maps of the sacred areas, that help apilgrim make sure he is in the right place at the right time. •Using GPS technology, pilgrims can locate their companions duringHaj and find the possible route to reach them. • The application isregularly updated to reflect all the Masjids, restaurants,restrooms and other places of interest for pilgrims in the holycities and Jeddah. • It provides instant translation services forpilgrims. • Emergency services are available at an easy and directtouch • The app will automatically update your loved ones back homeevery time you reach your desired destination (Makkah, Madinah,Mina, Muzdalifa, Arafat, Jeddah, etc.). Manasikana app Features:Manasikana app has been designed by a team of highly skilleddedicated professionals to provide you with the appropriate helpand direction during the journey of Haj, Umrah, or Madinah visitusing the following features: HELPS IN FINDING DIRECTIONS ANDLOCATIONS Locate your companions in real-time and find the route toreach them. OUT OF BOUNDS SERVICES Make sure you are within thebounds of Mina, Arafat, Muzdalifa or Haram with a simple and directactions OFFLINE MAPS View and search to “Points of Interests” usingoffline maps without an Internet connection. PLACES OF INTEREST(POIs) Locate places of public interest such as nearest Masjids,restaurants, restrooms, shopping malls, etc. Find the shortestpossible route to a POI from your current location. EMERGENCYSERVICES Emergency services can be called at the touch of the redbutton that is always visible on the screen MONEY EXCHANGE ANDCURRENCY CONVERTER Find the way to the nearest currency conversioncentre Get up to date currency exchange rates for calculationPRAYER SCHEDULE AND QIBLA COMPASS Get prayer times based on yourcurrent location Know the time remaining for the next prayer GetQibla direction based on your current location WEATHER UPDATE Getweather alerts in Makkah, Madinah and Jeddah. NEWS SERVICES Get Hajand Umrah related news by the Ministry. HAJ AND UMRAH TWEETS Getup-to-date tweets from Ministry of Haj and Umrah TRANSLATION ANDTEXT TO SPEECH SERVICES Translate any word or phrase from/to Arabic(requires Internet) Let your mobile speak the Arabic text (requiresInternet) SUGGESTION AND FEEDBACK Submit your suggestion andfeedback in order to improve Haj and Umrah services RELATED APPSKnow related governmental apps that you can use during your journeyRECOMMENDED PLACES See recommended places by the Ministry of Hajand Umrah MULTI-LINGUAL SUPPORT Use the app in any of the sevenlanguages (Arabic, English, French, Urdu, Malay, Turkish andBengali) EASY INSTALLATION AND REGISTRATION Login through Twitter,Google or Facebook.